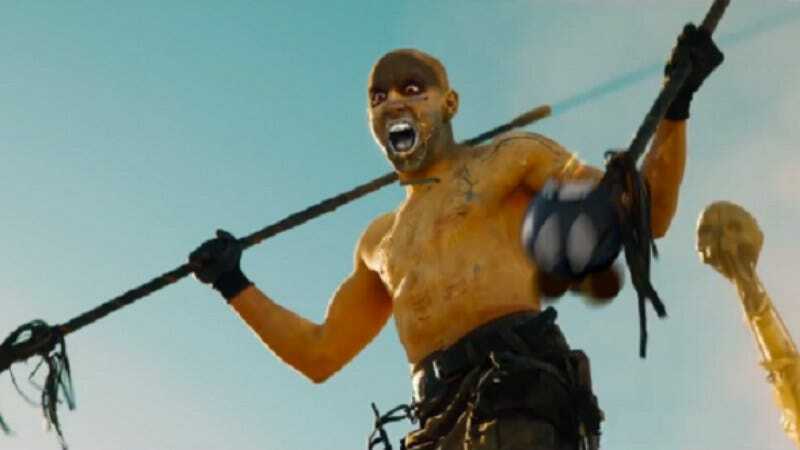 Mad Max: Fury Road continues to inspire all sorts of memes and instances of fannish devotion. Whether it’s learning more about Doof Warrior (the guitar player), witnessing the very real stunts in action, or recutting the trailer with Mario Kart ephemera, people are clamoring to continue the experience in weird new ways that only the internet can provide. For whatever reason, the film has inspired many and continues to breed all new sorts of ways of expressing that love of the film. Enter the latest frontier to be conquered by the Fury Road faithful: Amazon customer reviews. Truly this is the golden age of fandom where War Boys can rate their satisfaction with a culinary spray. Now the world just waits for the People Eater to start weighing in on Yelp reviews and all will be right with the internet.